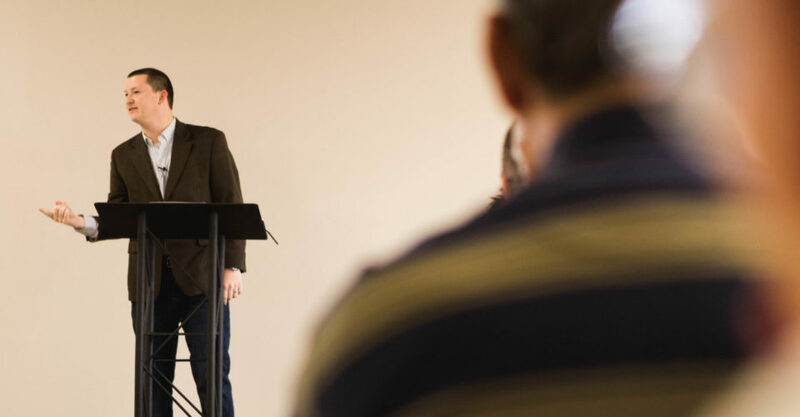 Buck Run offers a wide variety of classes designed to deepen your understanding of Scripture while teaching you to apply its timeless truths to life and culture. Most classes last 6 weeks and will range from the study of Scripture to Christian biography, doctrines, evangelism, spiritual disciplines, and many other options. Classes are held every Sunday morning at 9:15am. In the Great Commission, Jesus calls us to go and make disciples by baptizing and teaching. This class will teach you practical ways to fulfill both of the basic elements of disciple-making. John wrote his gospel “so that you may believe that Jesus is the Christ, the Son of God, and that by believing you may have life in his name” In this survey of John’s gospel, you’ll encounter our life-giving Savior. Who does God want us to be? At a basic level, God wants us to be his own image. This class will explore ten divine characteristics God calls us to represent every day as we follow his will and become more and more like Jesus. Most of us are familiar with, Abraham, Moses, and David, but what about other Old Testament figures like Rizpah, Ehud, and Mephibosheth? In this class, you’ll learn about some of the people we often overlook as we read the Old Testament and why they matter for us today. This class offers an introduction to Buck Run and its mission, vision, and expectations for members. Launch yourself into ministry and get plugged in. Our ongoing legacy classes meet every week and study through books of the Bible using LifeWay’s Explore the Bible curriculum. Enjoy warm fellowship, sound teaching, and delightful community in one of our two legacy classes.